Of course this does not apply to me. 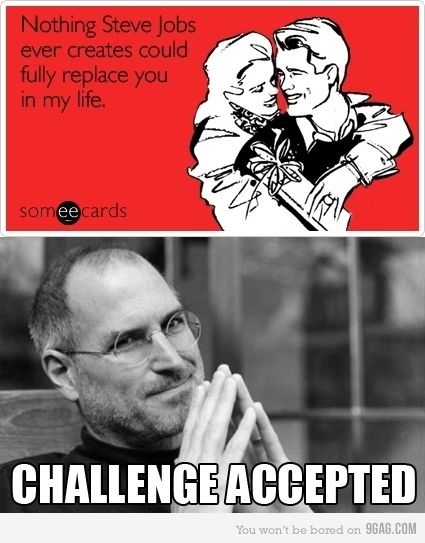 Steve Jobs created things that can replace anyone in my life a long time ago. I really wonder what Shlomit thinks about this. Well, all I have to say is…. if you think that my job has FULLY been replaced by your toys, I’d be more than happy to test the theory when I come visit this weekend. I bet you’ll be singing a different tune after that, my dear!